Continuing their preparation ahead of the 2019 Dakar Rally, Adrien Van Beveren, Xavier de Soultrait and Franco Caimi are all-set to contest the 2018 edition of Peru’s Desafio Inca. A three-day event in the massive sand dunes outside the city of Ica, the Desafio Inca will offer the Yamalube Yamaha Official Rally Team trio the possibility to test themselves in conditions similar to those expected at the upcoming Dakar in January. Entering the main part of their preparation for the 2019 Dakar last month at the Atacama Rally in Chile, Adrien, Xavier and Franco look forward to continue making progress this coming weekend in Peru. Looking forward to the three days of racing that lie ahead, 2018 Dakar sensation Adrien Van Beveren will be looking to make full use of his sand racing prowess. Physically and mentally ready for the challenge, Adrien is expected to be a force to be reckoned with in Peru. For Xavier de Soultrait, the Frenchman also has his eyes set on continuing to improve ahead of the coming Dakar. 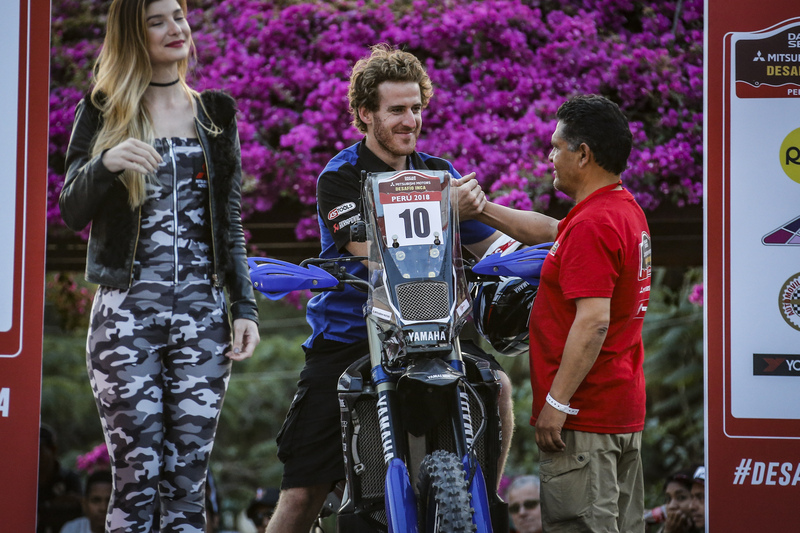 As for all Yamalube Yamaha Official Rally Team riders, the Desafio Inca rally will allow Xavier to gain more racing time aboard his WR450F Rally machine. Wrapping up the Atacama Rally in August with a fifth place result, Franco Caimi will go after another strong result at the 2018 Desafio Inca. Working hard to improve on all the little details since the start of the season, the Argentinean is ready to battle in the dunes of Peru. The 2018 Desafio Inca starts with its first of three rally stages on Friday, September 14. Each stage will feature two long loops outside Ica and the total distance to be covered over the three stages is more than 850km.